Here’s another rumor to add to the growing list surrounding future Samsung devices: The company could incorporate an Intel Atom processor in to the next Galaxy Tab 3 10.1 tablet, abandoning the previously used ARM-based chips. This is based on a report from perennial rumor-mongers SamMobile, where a benchmark test revealed a pair of tablets with the model numbers P5200 and P5210. As the Galaxy Tab 2 10.1 had a P5100 model number, it’s logical to think its sequel would be the P5200. The benchmark test reveals the Samsung tablet to be powered by an Intel Clover Trail processor, with a 1.6GHz clock speed, which by matching it to this Intel documentation probably identifies it the Z2560 Atom chip. According to the test, the tablet has a 10.1-inch screen with a 1280 x 800 pixel resolution, and ran Android 4.2.2 at the time. The results of the test were impressive, with the P5200’s performance beating that of the Exynos-equipped Nexus 10. What’s surprising though, is that Samsung should move away from ARM architecture on its larger Galaxy Tab models, although the new Galaxy Tab 3 7.0 may show us it doesn’t always feel the need to use an Exynos or Qualcomm chip. 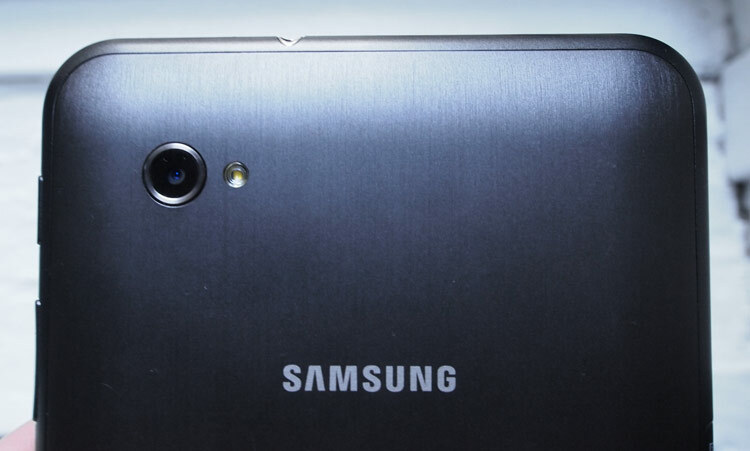 When it was announced, Samsung only confirmed the Tab 3 7.0 had a 1.2GHz dual-core processor inside, before another set of benchmarking figures indicated it featured a Marvell PXA986 chip. We won’t know for sure until it goes on sale if it’s accurate for the retail model, but it does show a willingness to experiment on Samsung’s part. Samsung already has a relationship with Intel through its laptop and Windows tablet ranges, but this would represent a considerable strategy shift if it does integrate an Intel chip into its next high-profile Android tablet release. It’s all speculation at the moment, but if the rumors are correct, we’ll could get our answer as soon as June or July.